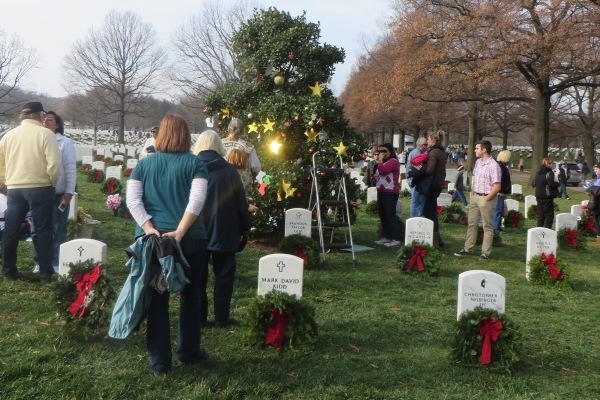 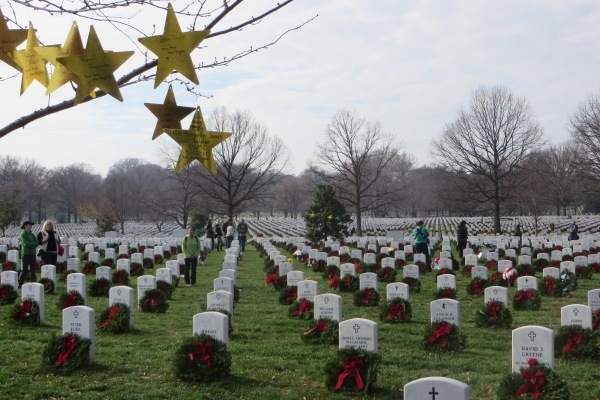 A quasi-warm Saturday morning greeted several thousand volunteers to place wreaths about the graves of former soldiers and casualties of the current national defense crisis. 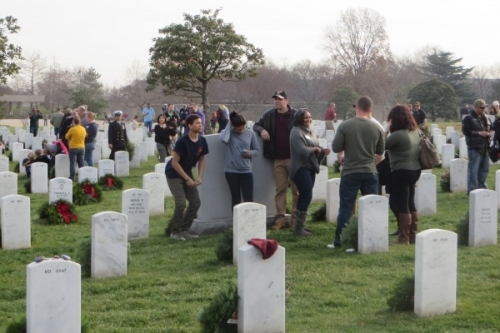 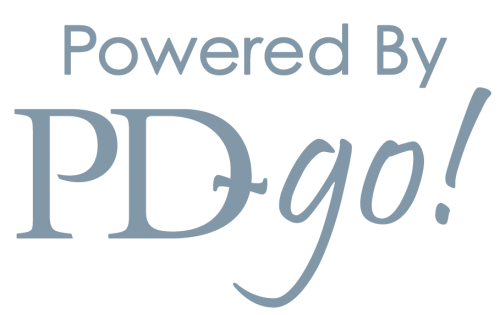 Project Enduring Pride (PEP) has about two dozen volunteers in the “garden of stones”. 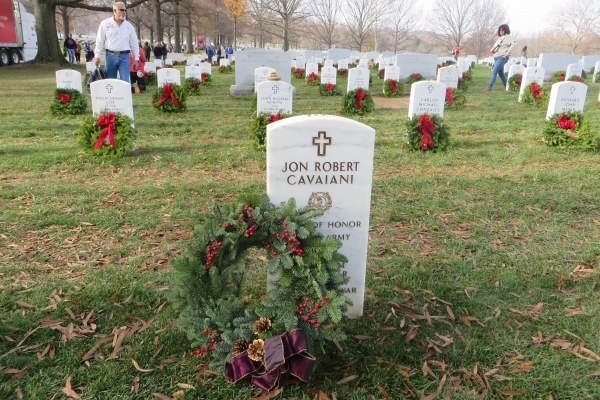 PEP brought an augmentation of 40 wreaths to be placed out on the graves. Several special wreaths for “friends” graves, and family members of the volunteers were placed about the site. 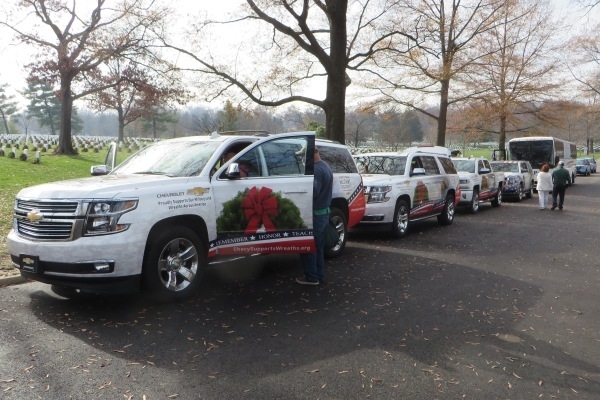 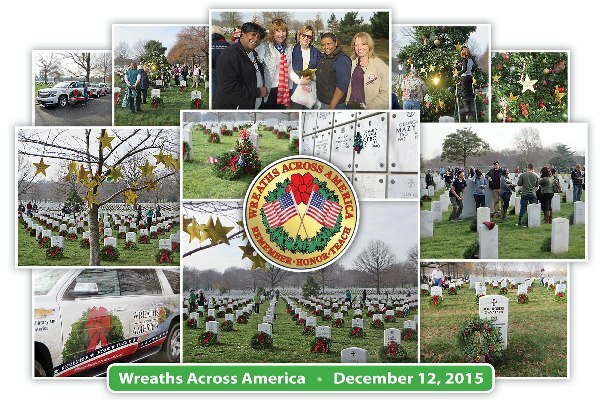 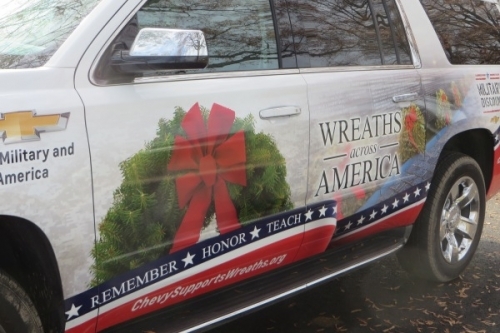 This year, the administration banned cars from the cemetery and that slowed down the pace of placing out the wreaths. 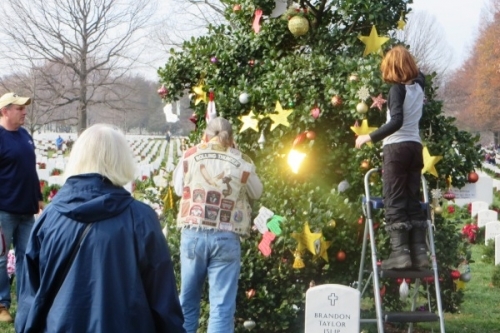 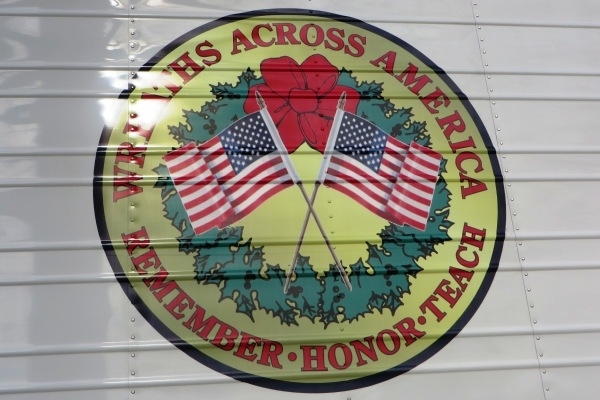 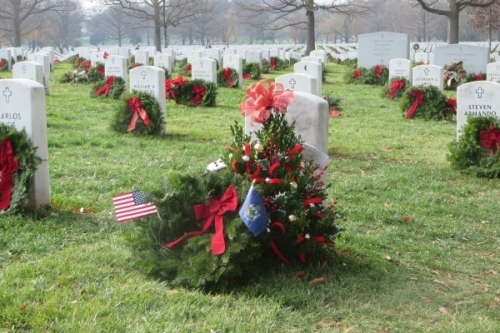 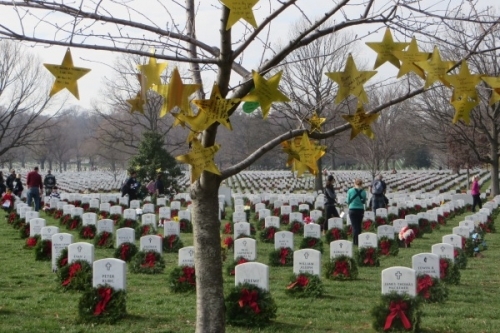 By Saturday afternoon, the wreaths populated about 85% of the graves. 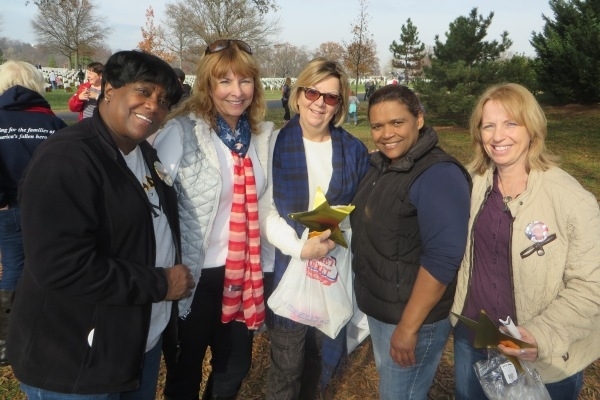 PEP volunteers returned on Saturday and finished off some 16 more graves near the cemetery Administration Building and other “special friends”. Most sections of the cemetery were covered by volunteers with the average of three wreaths being placed on the graves. 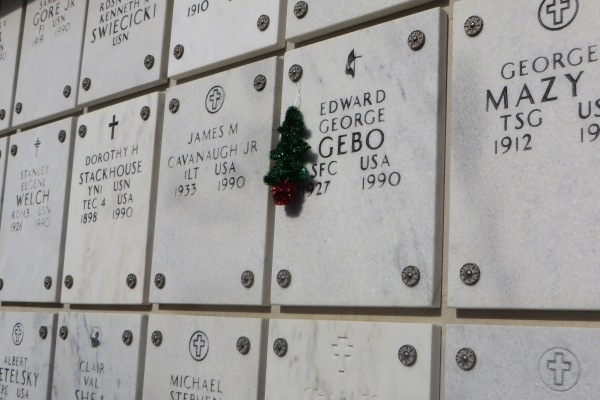 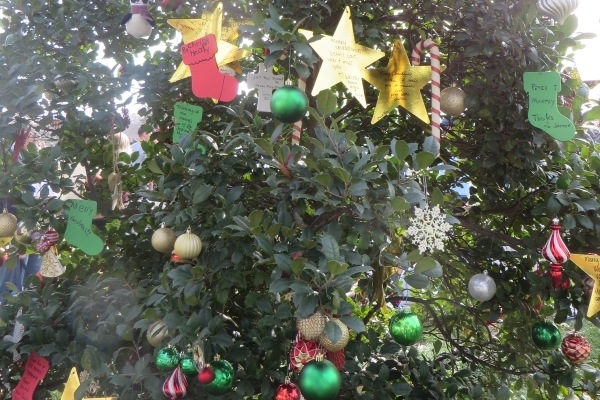 PEP also put several wreaths at the Columbarium, where several thousands have their ashes stored. 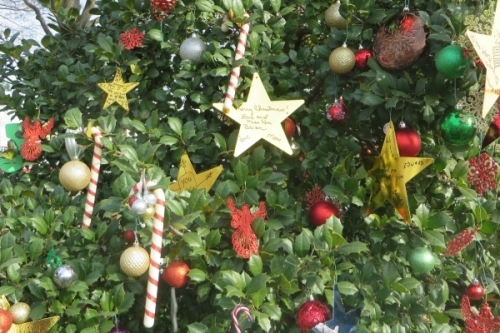 Work at Arlington was followed up by lunch at Samuel Becket’s in Shirlington Town Center.